The year was 1220 BC and war between the Greeks and Trojans raged on. Odysseus, the King of Ithaca, knew he must leave his home to join the fighting in the Trojan War. But Odysseus faced grave uncertainty and struggle – not because of the war – but because his absence necessitated him finding someone to look after, care for, advise, and teach his son Telemachus. Who would be wise and trustworthy? Who could teach him all he needed to know? Who could be trusted to undertake such an important task? 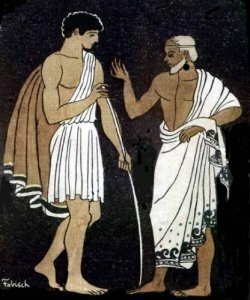 Eventually Odysseus decided on the person who would serve as his son’s guide, teacher, friend and advisor, and left Telemachus in the capable care of Mentor. And so began the use of the title “mentor” – a title given Margaret Thatcher as she guided John Major. Obi-wan Kenobi mentored for Luke Skywalker, and Aristotle was the mentor of Alexander the Great. Bing Crosby mentored Frank Sinatra, and Rachmaninoff was mentored by Tchaikovsky. see, and experience, the value of working together. And while the benefits to individuals being mentored seem quite obvious, the mentor herself also grows. While mentorship is usually undertaken by the mentor in the spirit that it is more blessed to give than receive, and out of a committed desire to help, mentors also can gain new skills and learn new perspectives. Mentoring can be challenging, often neglected and frequently ill-defined; but when done correctly, the rewards and benefits are great. G – Goal-Guide – Mentors personally get to know their mentees, help them establish goals and develop a plan of action. As goal-guides, mentors help mentees continually reflect on and revise their goals. Finally, mentors encourage risk-taking. I – Interested Insight-Giver – As an interested insight-giver, mentors ask questions and help mentees explore issues. Mentors provide honest, positive guidance to their mentees, sandwiching critique amongst encouraging praise. F – Flexible Friend – Mentors are flexible friends with their mentees as they establish rapport, encourage, support, and listen. Flexible friends also often play the role of a coach or role model with their mentee. T – Trusted Teacher – Finally, mentors are a gift by serving their mentees as a trusted teacher. By establishing trust within the mentoring relationship, the mentor and mentee can share information and keep confidences. Mentors give advice based on their experience, train and teach skills, and create space for mentees to practice and try out new ideas. G – Get to Know – Mentees must take the driver’s seat when it comes to the mentoring relationship by asking for appointments, and coming prepared to meetings with a planned-out agenda of discussion topics. I – Initiate & Inquire – The gift of mentorship will only be fully realized to the extent that mentees are open and accessible to the relationship. Mentees should take the initiative to stay in touch, ask questions and demonstrate interest. V – Value Perspective – Mentors should not necessarily be someone just like you! As a mentee, learn to value the unique and diverse perspective of someone different from you. Invite feedback and be willing to learn and grow. 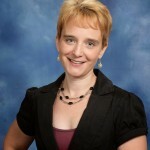 E – Express Yourself – As a mentee, clearly express yourself. Be specific with your needs. Articulate your appreciation for the attention and time your mentor is giving you. Einstein once said that a problem cannot be solved with the same level of thinking that created it in the first place. Mentorship pushes both parties – the mentor and the mentee – to new levels of thought and performance. Mentorship not only solves problems, but creates solutions, particularly when mentors are recognized as gifts, and mentees give themselves to the process. One additional story about the origin of the term Mentor exists. In the Pyrenees mountains of southern France there are caves with beautiful, ancient drawings on the ceilings. While most of the paintings are of bisons and horses, there are also repeated pictures of men taking children on a tour to what they understood as the edge of their physical world. Once there, at the edge of the known, the men would beseech the children to live courageously, and to reach far beyond their known boundaries. So too is it with a mentoring relationship – as the mentor is seen as a GIFT and the mentees GIVE themselves to the process, it becomes possible to live courageously and reach far beyond known personal and professional boundaries. What tips do you have for creating a beneficial mentor-mentee relationship? How has your mentor impacted your life? To whom are you being a gift? Great post! Andrew Root talks about the power of “place-sharing” relationships, specifically within the context of youth ministry, but his idea is based on pursuing incarnational relationships. One of the things he mentions is that relations should have a “third thing”. Meaning goals or an external purpose. So in youth ministry, the third thing would often be a person progression deeper in spiritual transformation. Not a bad goal, but, if the person doesn’t progress, the value of the relationship decreases, as the main focus was the third-thing, rather than the sharing of lives. Do you think that the goals we place in mentoring relationships can have a negative affect on the relationship itself?